#aerobd.news : Yahsat, the UAE based satellite operator,today announced the successful trial of a 50Mbps in-flight connection that will change the way passengers experience air travelacrosstheworld. The result of a unique partnership between Yahsat, du, Etihad Airways Engineering, Hughes Network Systems and Carlisle Interconnect, the high-speed broadband offering will be available for airlines to offer its passengers within the next year. Using Yahsat’s Al Yah 2 satellite, and the latest generation Ka-band technology, the test took place in Abu Dhabi, simulating the environment found on anAirbus A320 aircraft. This new level of performance for in-flight connectivity (IFC) will mean passengers have an in-flight browsing experience similar to the service available in their home or office, including access toHD streaming content, social media, online shopping and the ability to connect with friends and family via messaging apps. Following this successful test, selected guests will be invited to experience the ultra- fastconnectivityfor themselves, onboard an Etihad Airways Flying Testbed AirbusA320 aircraft at the Dubai Airshow taking place from the 12th to 16th of November. 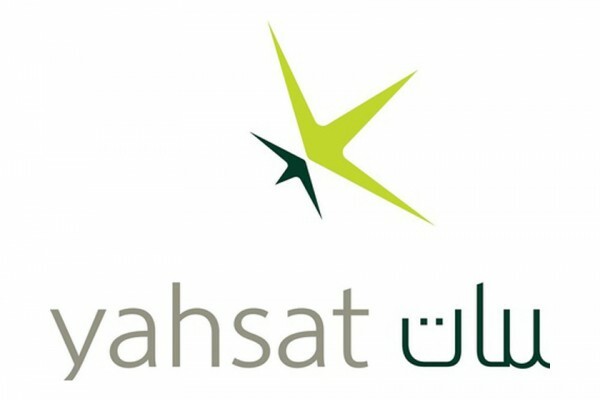 Subsequently, Yahsat and its partners plan to execute the key next steps over the coming year to rollout the solution tocommercial airlinersacross the Middle East, and beyond. Etihad Aviation Group (EAG) is a diversified global aviation and travel group comprising five business divisions – Etihad Airways, the national airline of the United Arab Emirates, Etihad Airways Engineering, Etihad Airport Services, Hala Group and Airline Equity Partners. The group has minority investments in six airlines: airberlin, Air Serbia, Air Seychelles, Alitalia, Jet Airways, and Virgin Australia. du is a vibrant and multiple award-winning telecommunications service provider serving 9 million individual customers with its mobile, fixedline, broadband internet, and Home services over its 4G LTE network. du also caters to over 100,000 UAE businesses with its vast range of ICT and managed services. Since its launch in 2007, du has many UAE firsts to its credit, including introduction of Pay by the Second® billing system, IPTV and self-service portal. du is ideally placed to support the realisation of UAE Vision 2021 and transformation of Dubai into a Smart City. du is also the official strategic partner of the Smart Dubai Office and the platform provider for Smart Dubai. Following the successful testing of the Middle East’s first Internet of Things (IoT) network, du is on course to complete deployment of its IoT network in 2016. Brand Finance ranked du as the 12th most valuable brand in the Middle East in 2016. du previously won the coveted Brand of the year title by Superbrands Middle East in 2013. The company has been recognised with several other awards such as ISO 27001 certification of Managed Security Services and having the distinction of opening UAE’s first LEED Platinum Certified Green Shop. du also has the unique distinction of the first telecom in the world to release Sustainability Report based on GRI-G4 guidelines in 2014. du is also credited with du’s world-class teleport is the largest of its kind in the Middle East and ranked among the top teleports in the world by World teleport Association.